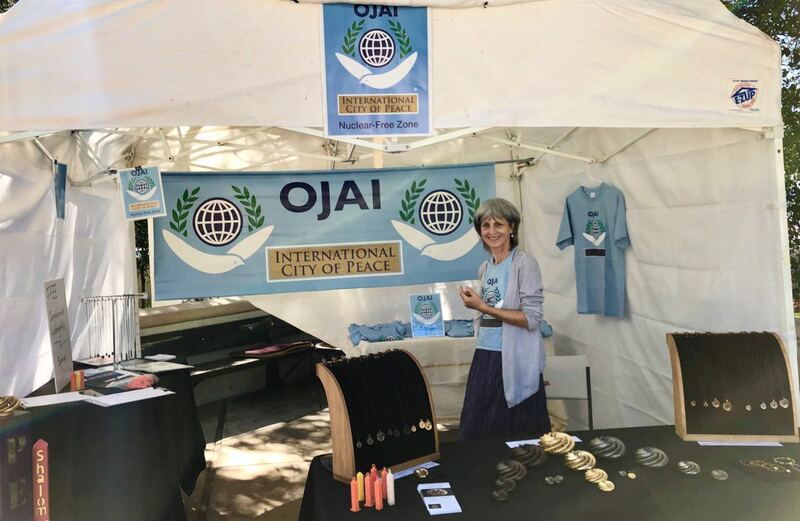 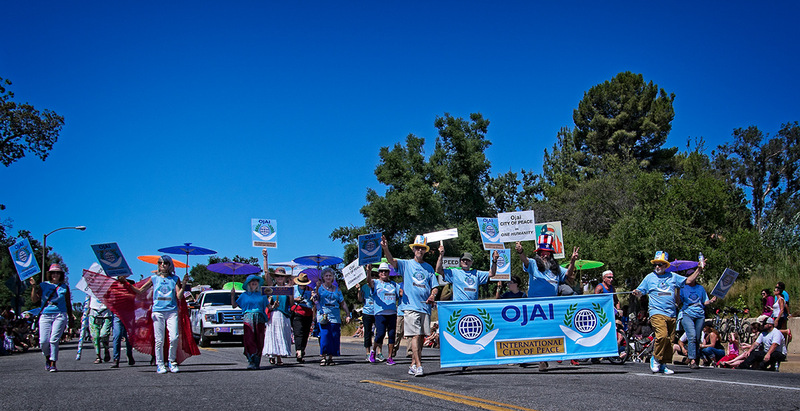 Come visit our booth on Earth Day and take home an OJAI Peace T-Shirt. 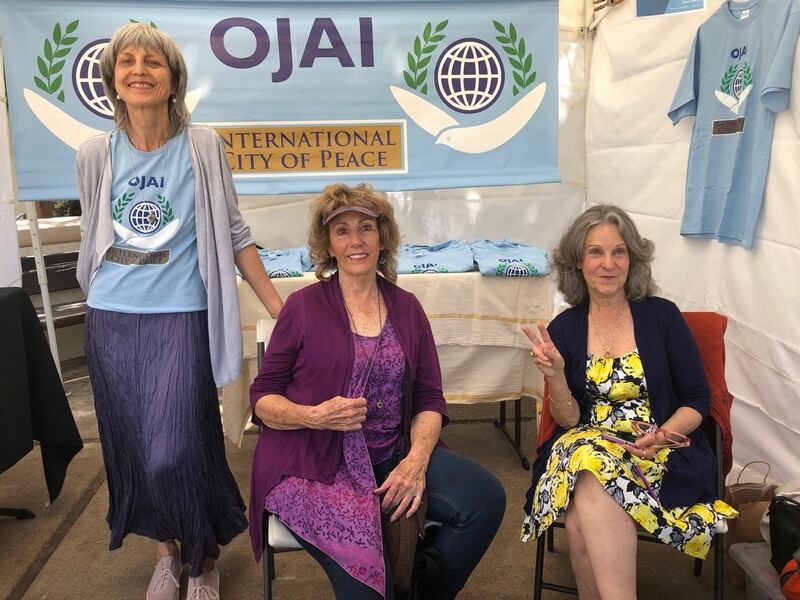 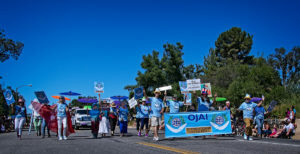 Come talk with us with your interest in peace in Ojai. 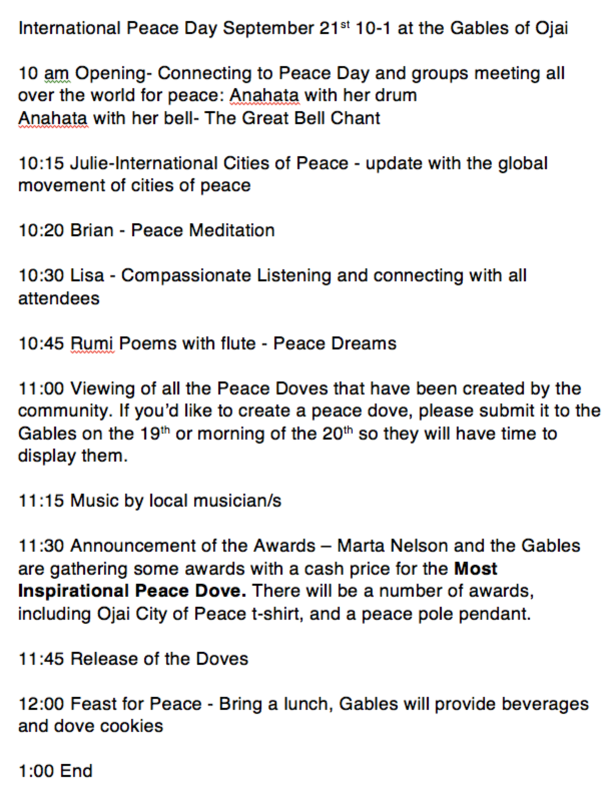 We will gather and create a peace walk entry for the parade. 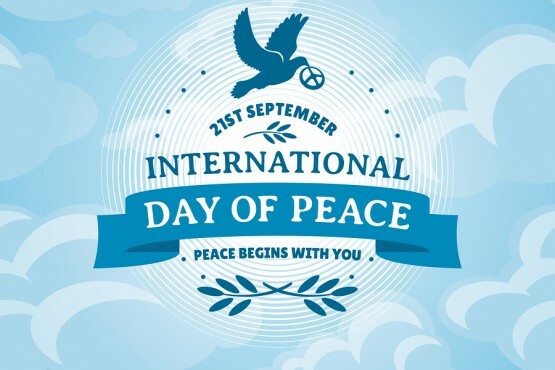 If you are interested in joining in, the more the merrier. 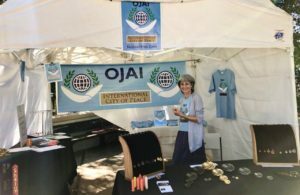 Please drop us a note in the contact page, wearing a Ojai ICP t-shirt is encouraged to show our true colors for peace. 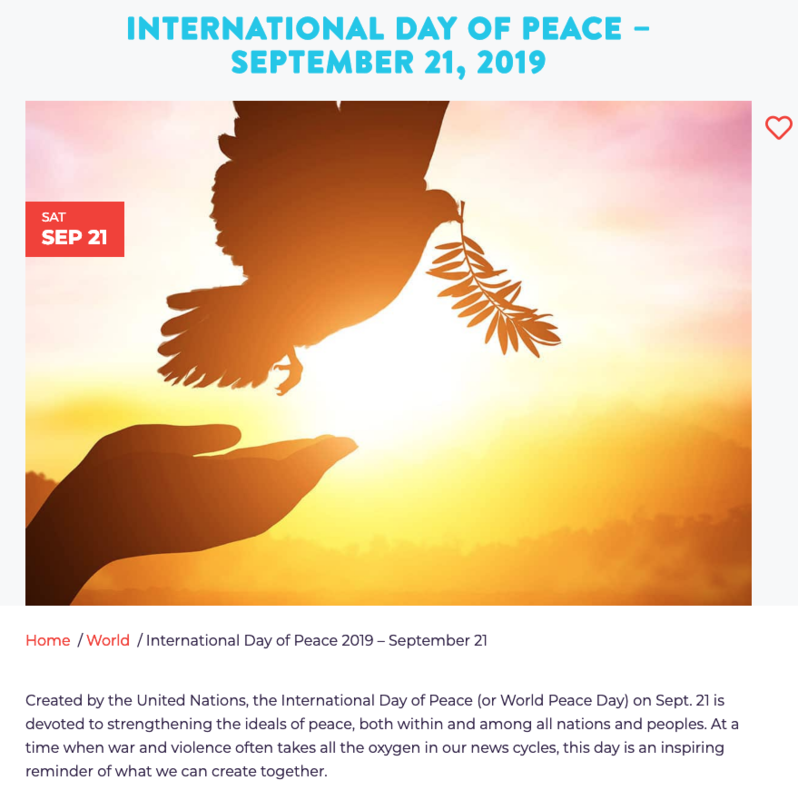 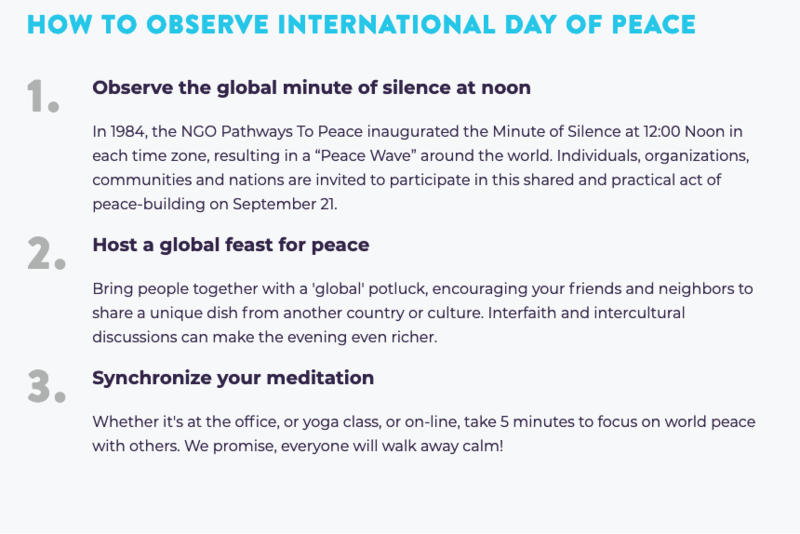 International Peace Day events: Please mark you calendar for September 21st 10-1pm at the Gables, with a brown bag Feast For Peace luncheon at noon. 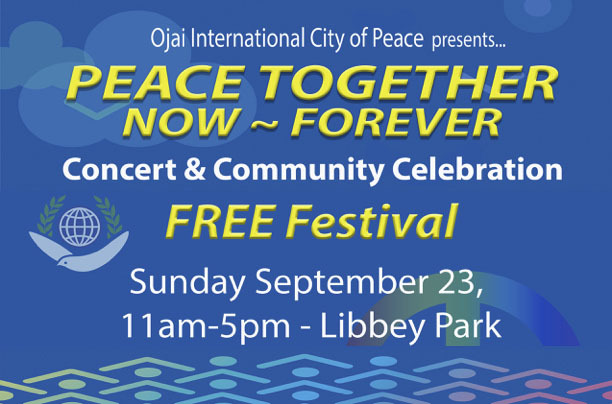 September 23rd in Libbey Park at the Gazebo - Ojai Community Concert and Festival as we celebrate International Peace Week. 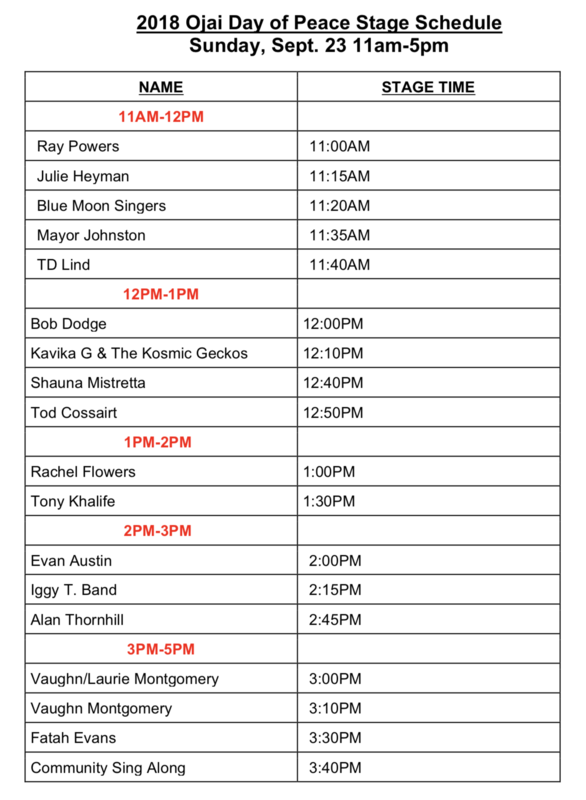 Event will begin at 11 and go till 5pm. 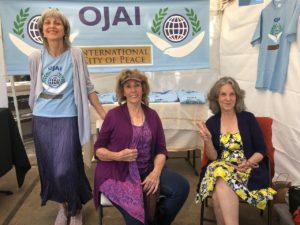 Bring your picnic and Feast for Peace with your community of peace organizations, musicians, poets, and community leaders.